1. 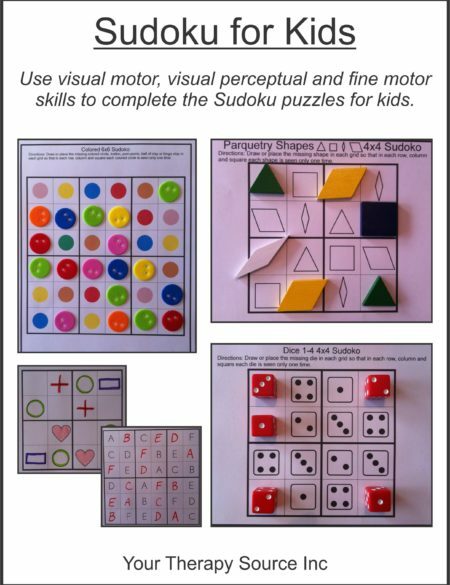 Simple Coloring Matching Geoboard. 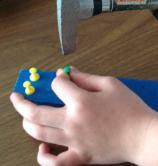 Hammer colored thumbtacks into a wooden block. 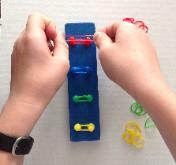 Sort the loom bands around the matching colors. 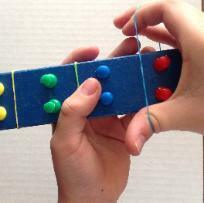 Loop two bands together and pull tightly (difficult for young children). Place over the thumbtacks in a ‘X’ shape. After about 8 total looped bands, cut one loop band. 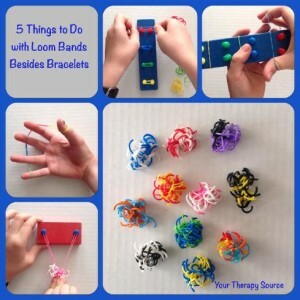 Wrap this loop band around the middle and tie it tightly (adult may need to do this). Cut all the edges to make the spiky ball. 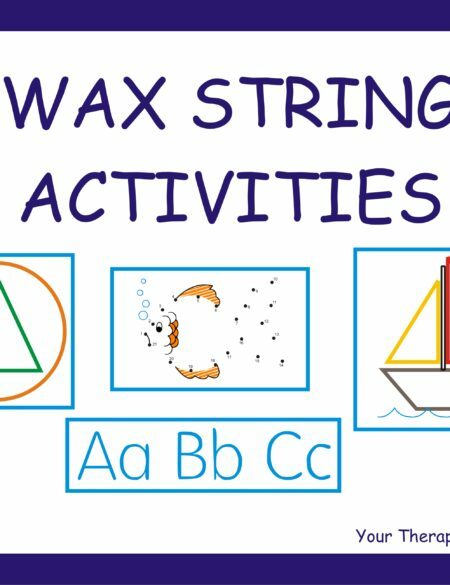 These are great for fine motor practice, hide in sensory bins or paint with them. 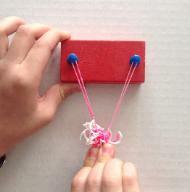 Using two hands, wrap the loom bands next to the correct color. 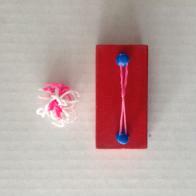 Loop four bands together. Wrap one around the thumb and one around the pinky finger. 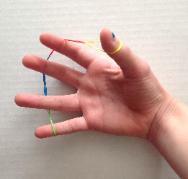 Place the reminder of the bands around the outside of the other fingers. Gently and slowly open and close the hand against the resistance of the bands. 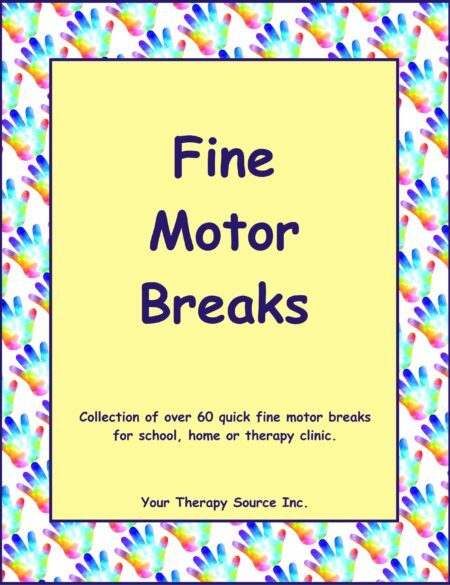 and takes a little practice but works quite well once you get the hang of it.